Werder Bremen host Bayern Munich on Saturday, as the two continue the battle for the Bundesliga’s European spots. Bayern travel to the Weser Stadium in great form, having smashed Benfica 5-1 in the Champions League midweek. They’ll hope to continue that form into November, as Niko Kovac’s side sit fifth in the Bundesliga. On the other hand, Werder will be looking to turn a new page. Although they sit seventh in the table, they went the whole of November without a win. They are looking for their first home win since 5 October, when they beat Wolfsburg 2-0. Here's 90min's preview of this one. When Is Kick Off? Saturday 1 December. 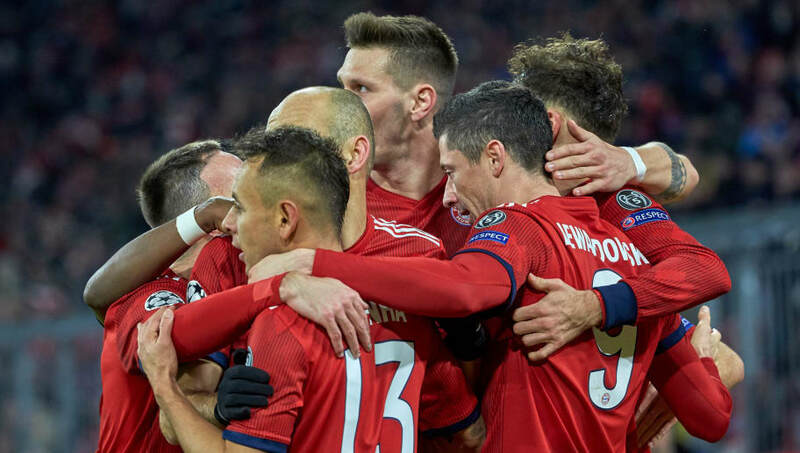 ​Bayern are without five players on Saturday, as Nico Kovac travels to Bremen with some notable injuries. ​James Rodríguez and Thiago Alcantara are two of the Die Roten’s biggest absentees, with a knee injury and fitness problems respectively. Kingsley Coman, Corentin Tolisso and Serge Gnabry are also injured. Werder have three injury absentees for the visit of Bayern. Fin Bartels, Aron Johannsonn and Philipp Bargfrede will be unavailable, with the latter carrying an Achilles injury. Pavlenka; Gebre Selassie, Veljkovic, Moisander, Augustinsson; Sahin, Eggestein, Klaassen; Osako, Kruse, J. Eggestein. Bayern Munich ​Neuer; Rafinha, Süle, Hummels, Alaba; Kimmich; Robben, ​Müller, Goretzka, Ribery; Lewandowski. ​Werder Bremen and Bayern Munich have met 111 times, with Bayern ahead with 59 wins and Werder on 27. The last time they met Bayern were victorious, as they ran out 4-2 winners at the Allianz Arena. Bayern’s record against Werder is really something special. They have incredibly won the last 17 games in a row, scoring 62 goals in the process. Die Roten really are dominant over Saturday’s opponents, and are looking to make it 18 wins in a row against Werder. Werder’s last win against Bayern came ten years ago, when they won 5-2 at the Allianz Arena in September 2008. They will certainly need something special on Saturday if they want to repeat that feat. ​Bayern Munich return to the ​Bundesliga off the back of a trademark performance. They ​smashed Benfica 5-1 in the Champions League, qualifying for the knockout stages. However domestically, Bayern are out of form. They haven't won in their last three Bundesliga games, including a derby defeat to ​Borussia Dortmund. They will be desperate to bounce back, and return to winning ways in the league. It is even worse for Werder Bremen. They have gone four Bundesliga matches without a win, conceding 14 goals in the process. Werder need the win to go into the winter break on a high. ​Here's how each team has performed in their last five fixtures. ​Werder will be desperate to pick up another win, with victory on Saturday potentially moving them above Bayern in the Bundesliga. However, recent form has been very poor, with no win since 20 October. Bayern on the other hand are brimming with confidence. An emphatic win midweek will fill them with confidence, and they will go to Bremen looking to repeat Tuesday's heroics. Bayern look in for a comfortable win, as they cruise past Werder on Saturday.